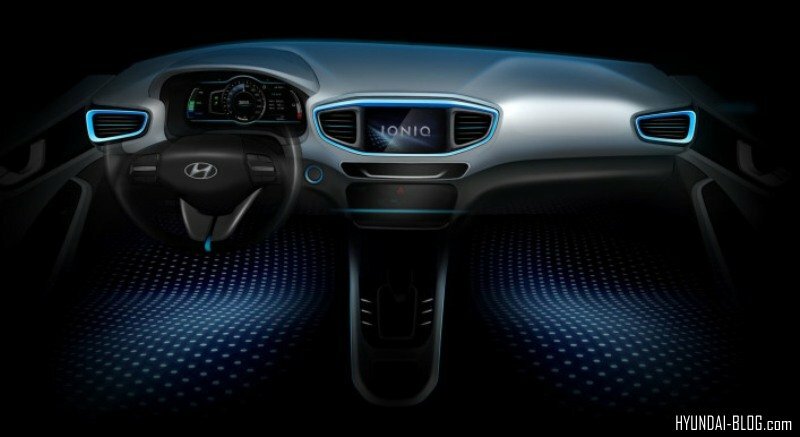 Hyundai Motor Company has released a pair of teaser images of the IONIQ dedicated hybrid, and we can now get a really good idea of what to expect inside and out! Before we dive into details, let us kindly inform you that you can also check the Ioniq in latest spy shots, posted exclusively here at the Hyundai-blog.com! 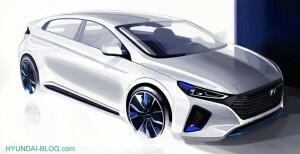 Hyundai released two additional teaser images of the new Ioniq! The exterior image reveals that the upcoming Ioniq will be a sedan, with many of the familiar Hyundai design cues on display. In front, the now iconic Hyundai hexagonal signature grille is there, while the LED daytime running lights adopt a C-shape. The front air intakes house additional daytime running lights, although those ones are of a vertical design. The side profile shows a fairly prominent body crease running all the way from the front wheel arch to the tip of the taillight. Eye-opening wheels have been added to dress up the Ioniq dedicated hybrid car for the photo shoot, but those are not likely to be present on the production model. On the inside, the cabin is fairly simply, and features bright blue highlights throughout. The gauge cluster appears to be all-digital, while a second screen embedded in the dashboard will most likely be used to handle the infotainment duties. It is worth noting that latest spy shots suggest that the cluster will not be all-digital. What is obvious are the 4 large air vents, an engine start-stop button, as well as a transmission tunnel that is somewhat similar to that found on the Porsche 911. 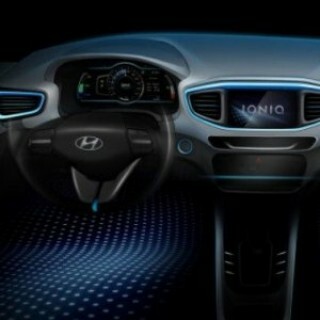 The Ioniq will be a huge release, not just for Hyundai, but also for the automotive industry as a whole! 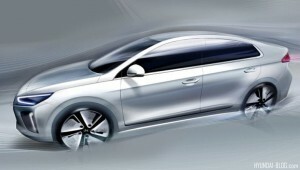 This will be the first vehicle of its kind with 3 highly efficient powertrains. The first of those will be a petrol-electric hybrid, but customers will also have the opportunity to get a plug-in hybrid, as well as an all-electric model. 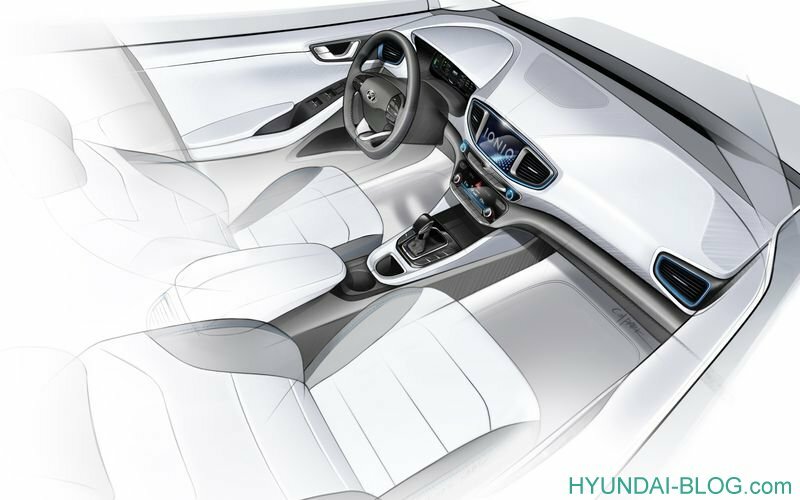 We are expecting to see the 2017 Hyundai Ioniq officially unveiled in January 2016 in Korea, followed by the New York Auto Show and Geneva Motor Show, both in March of next year.